We pray for Paul Rouine who died on 19 December, 2017 in Coventry, England. May the Lord welcome Paul into his true home in heaven and console his brother Declan, Ennis Road and all who mourn him. We pray for Tom Kelly, Ballylean who died on Wednesday, 29 November, 2017. We pray that the Lord may welcome Tom into the home he has prepared for him in heaven, console his wife Sheila, his sons James, Cyril, Tom, Kevin and John, his daughter Mary, daughters-in-law, son-in-law,grandchildren and all who formed part of his circle of love and care. Tom will repose at St Michael’s Church, Kildysart from 5pm until 7pm on Friday. His funeral Mass will be celebrated on Saturday at 11am followed by burial in Kildysart cemetery. Tom’s months mind Mass will be celebrated in St Michael’s Church, Kildysart on Friday, 29 December at 8pm. We pray for Mrs Peggy Pyne, Knockerra who died on 13 October, 2017. Peggy was the dearly loved mother of the late John, Ennis Road and grandmother of the late Olivia. We pray that the Lord may take Peggy to Himself and console her family Ann (Kenny) Mountshannon, Senan (Knockerra), and Geraldine (Moran) Cork, daughters-in-law Mary (Ennis Road, Kildysart) and Ann, sons-in law Matt and James, grandchildren Laura, Fiachra, Oisin, David, Ann-Marie, James, Declan, Fergal and Colm, great-grandaughter Anna and all who formed her circle of love and care. Edmond, her brothers, sisters and grandchildren. We pray for Jim Dunne, Tullyvarraga Crescent, Shannon formerly of Kanturk, Co. Cork and Southampton, England, beloved wife of the late Theresa, who died on 29 September, 2017. 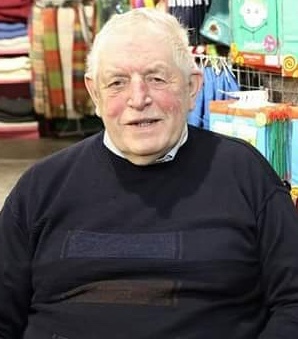 May the Lord grant Jim eternal rest and console his loving daughter Marion, son-in-law Gerry Mc Gowan, grandchildren Stephen, Ashling and Conor, brothers Ted & Joe, sisters Veronica & Mary, sisters-in-law Monica, Kate & Kathleen, nieces, nephews and all who formed his circle of love and care. Jim will repose at his residence n Monday 2 October from 5pm with prayers for the dead at 8pm. The funeral Mass will be celebrated on Tuesday 3 October at 11am in Ss. John & Paul’s Church, Shannon followed by interment in Kildysart Cemetery. May the Lord welcome Michael into his eternal home in heaven and console his wife Gillian, sons Michael, Peter and Dermot, grandchildren Phoebe, Cillian and Fia, sisters Tessie and Nancy, daughters-in-law Deirdre and Marian, nephews, nieces and all who formed his circle of love and care. We pray for Eamon O Brien late of Shanacoole who died on 12 September, 2017 in New York. A months mind Mass will be offered for Eamon in St Michael’s Church, Kildysart on Sunday 8 October, 2017 at 11am. May the Lord welcome Eamon into his true home in heaven and console his wife Ethne, his family Edward, Helen and Anne, his brother Michael (Shanacoole) and his sisters Theresa, (Lissycasey), Madge (New York) and Susan (New York). We pray for Catherine (Kitty) O’Shea, late of Galway and Ballynacally who died on 26 August, 2017. May the Lord take Kitty to the home He has prepared for her in eternity and console her brother Frankie (Crovraghan), sisters Deena (London) and Margaret (USA) and all who formed her circle of love and care. Kitty will repose at Christ the King Church, Ballycorick on Tuesday from 6pm until 8pm. Her funeral Mass will be celebrated on Wednesday at 12.30 followed by cremation at Shannon Crematorium. We pray for Tom Curran, Kilrush Road, Kildysart and formerly of Dungeer, Taghmon, Co. Wexford. who died on 16 August 2017. 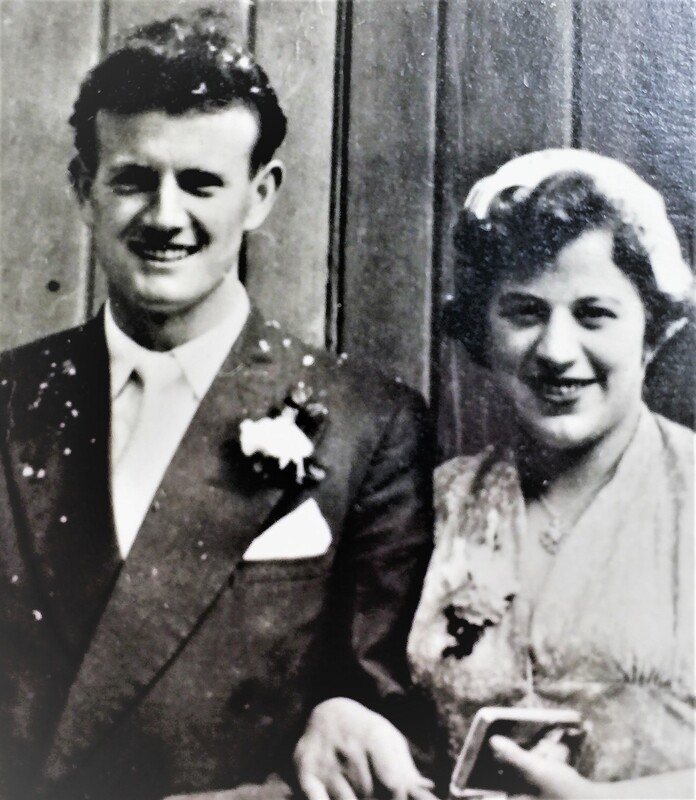 May the Lord welcome Tom into his eternal home in heaven and console his partner Breda, his daughters Elizabeth and Joyce, his son Thomas, brothers Jack, Paddy & Mick, sisters Margaret & Maureen, grandchildren Christopher, Laura & Stephanie, great-granddaughter Hannah and brother in law. Tom will repose at St Michael’s Church, Kildysart on Sunday from 6pm until 8pm. His funeral Mass will be celebrated on Monday at 12 non, followed by burial in England. Burial will take place on 4 September, 2017 in Slough, England. Tom’s month’s mind Mass will be celebrated in St Michael’s Church, Kildysart on Sunday, 24 September at 11am. We pray for Mary Finucane (née Keane), Effernan who died on 12 August, 2017. Mary is predeceased by her husband Peter and her sons Eamon & Gerard. We pray that the Lord will take Mary to herself and console her sons Peadar, Brendan, Noel and Declan, daughters May, Rita, Sheila, Carmel, Eithne and Colette, grandchildren, sons-in-law, daughters-in-law and all who formed part of her circle of love and care. Mary will repose at St Michael’s Church, Kildysart on Monday from 6pm until 8pm. Her funeral Mass will be celebrated on Tuesday at 11am followed by interment in Kilfidane Cemetery. Mary’s months mind Mass will be celebrated in St Michael’s Church, Kildysart on Sunday, 17 September, 2017. We pray for Mary Flanagan (née O’Brien),(Holy Spirit Parish, Greenhills and late of Rosshill, Kildysart, Co. Clare), who died on 8 August 2017. Mary was the Beloved wife of the late Michael. May the Lord take her to himself and console her family Pauline, Adrienne, Gráinne, Yvonne, Michael and Brendan, her sisters Rosanne, Bridie and Teresa and all who formed part of her circle of love and care. Mary will Repose at Fanagans Funeral Home, Lower Kimmage Road on Friday afternoon (11 August) from 3pm prior to her removal to the Church of the Holy Spirit, Greenhills arriving at 5.30pm. Her Funeral Mass will be celebrated on Saturday morning (12 August) at 10am. Mary’s month’s mind Mass will be celebrated in St Michael’s Church, Kildysart on Friday, 8 September at 8pm. We remember in prayer Christine Coughlan, Clonroadbeg, Ennis who died on 29 July 2017 peacefully at Milford Hospice, Limerick. May the Lord grant her eternal rest and console all who formed part of her circle of love, especially her sister Nancy Griffin, Crovraghan. Patrick Michael Carroll and his wife Marina on their wedding day. You are asked to remember in your prayer Patrick Michael Carroll late of Kildysart and England who died on 29 June, 2017. Patrick’s funeral Mass will be celebrated in St Michael’s Church, Kildysart on next Tuesday (18 July) at 11am followed by burial in Kildysart cemetery. We pray that the Lord may welcome Patrick into eternity to be united with his wife Marina his daughter Linda and console his daughters Patricia, Jane and Susan, his seven grandchildren and five great-grandchildren. Pray for Michael McGrath, Ballina, Labasheeda who died on 27 June, 2017. May the Lord grant him eternal rest and console all who mourn him especially his parents John Thomas and Maureen (Kildysart), his sister Teresa, brother Tommy, his partner Elizabeth, his daughter Marcella all who formed his circle of love and care. We remember Baby Gavin who is with the angels and saints in paradise. We pray that the love of the Lord and of their family and friends will console and support his parents Annette and Brian Keane, Shanahea and Ennis in their great loss. A Mass of thanksgiving for Gavin, a month after his death, will be celebrated in St Michael’s Church, Kildysart on Friday 21 July at 8pm. Pray for Jimmy King, Anfield, Ballynacally who died on Monday, 8 May, 2017. May the Lord welcome him to his eternal home im heaven and console his wife Mary, sons Michael and Flan, daughters Mairead,Kildysart and Aine, son in laws Cyril and Donal, daughter in laws Mary and Noreen, grandchildren Caitriona, James, Stephen, Laoise, Sinead, Oisin, Caoimhe, Caragh and Cormac, nephews, nieces, relatives and friends. Pray for Flan Sheehan, Tonlegee who died on 17 April, 2017. Flan will repose from 6pm to 8pm on Wednesday at Christ the King Church, Ballynacally. His Funeral Mass will be celebrated on Thursday at 12 noon with burial afterwards to Kilchrist cemetery. May the Lord take Flan to Himself and console his wife, Mary, his daughters Claire, Martina and Noreen, sons Gérard, Paul, David, Flan, Kieran and all who formed part of his circle of love and care. Pray for Martin O’Shea, Lioscormack and Kilrushwho died on 8 April 2017. Martin’s month mind Mass will be celebrated in St Michael’s Church, Kildysart at 8pm om Thursday 18 May. Please pray for Micheal McNamara, Crovraghan who died on 7 April. 2017. Michael will repose in St Michael’s Church, Kildysart from 6pm until 8pm on Tuesday. His funeral Mass will be celebrated at 11am on Wednesday followed by burial in Kildysart cemetery. May the Lord grant Michael eternal rest and console his daughters Ellen and Bridget, his sisters Bridie, Anne, Kathleen & Nora, brothers Joe & John, grandchildren, great-grandchild, nieces, nephews and all who formed his circle of love and care. Michael’s month mind Mass will be celebrated in St Michael’s Church, Kildysart on Thursday. 5 May at 11am. Please pray for Marian Clancy (née Haugh) 50 Considine Road, Ennis who died on 1 April, 2017. Marian will repose at St Michael’s Church, Kildysart from 6pm to 8pm, concluding with prayers for the dead on Tuesday. Her funeral Mass will be celebrated on Wednesday at 11am followed by burial in Kildysart cemetery. May the Lord grant Marian eternal rest and console her husband Tony, her daughters Sonya and Jacinta and all who formed part of her circle of love and care. Marlo’s momths mind Mass will be celebrated in St Michael’s Church, Kildysart on Monday, 1 May at 8pm. We pray for Christopher Murtagh late of Crovaghan who died in London on 25 March 2017. May the Lord grant Christopher eternal rest and console all who mourn him. We pray for PJ Eustsce, Shanahea who died on 25 March, 2017. PJ will repose in St Michael’s Church, Kildysart from 6pm to 8pm on Monday. His funeral Mass will be celebrated on Tuesday at 11am followed by burial in Kildysart cemetery. May the Lord grant PJ eternal rest and console his brother Tommy (Kildysart), sisters Maureen Corbett (Lisheen), Nora O’Rourke (London), Lizzy Cooney (Stoke on Trent, England), sister in law, brothers in law, nieces, nephews and all who mourn him. P.J.’s months mind Mass will be celebrated in St Michael’s Church, Kildysart on Sunday, 30 April at 11am. We pray for Sr Dympna Clancy (Salesian Sisters, Westbury, Corbally, Limerick, formerly of Glencanane, Kildysart, Co. Clare) who died on 28 February 2017, peacefully at Milford Care Centre. May the Lord grant Sr Dympna eternal rest and console her Salesian sisters, brothers Louis, Paul, Jim and Tommy, sisters Mary and Helen, brothers-in-law, sisters-in-law, nephews, nieces and all who formed part o her circle of love and care. St Dympna will repose at St Nicholas’ Church, Westbury on Thursday evening from 5.30pm to 7.30pm. Her Requiem Mass will be celebrated on Friday at 11.30am with burial afterwards in Castlemungret Cemetery. We pray for Joe Murtagh, formerly of Lacknashannagh who died recently in Northampton, England. His funeral will be celebrated in Northampton on 8 February, 2017. We pray for Anna Teresa Morris who died recently in England. Anna was a native of Kildysart and we offer our sympathy to her brother Michael. A month’s mind Mass will be offered for Anna in St Michael’s Church, Kildysart on Wednesday 25 January at 11am. You are asked to remember in your prayer Frances Arthur (née Cleary) formerly of Clonola who died on 9 January, 2017 in Ennis. May the Lord grant her eternal rest and console all who mourn her. You are asked to remember in your prayers Margaret Joel (nee Walsh) formerly of Gurtnacurra who died recently in Surrey, England. May she rest in peace and console all who mourn her. Posted on December 9, 2017, in Uncategorized. Bookmark the permalink. Comments Off on Rest in Peace 2017.